Since the first edition of The Human Side of Disaster was published in 2009, new catastrophes have plagued the globe, including earthquakes in Haiti and New Zealand, tornadoes in Alabama and Missouri, floods in numerous locations, Hurricane Sandy, and the infamous BP oil spill. 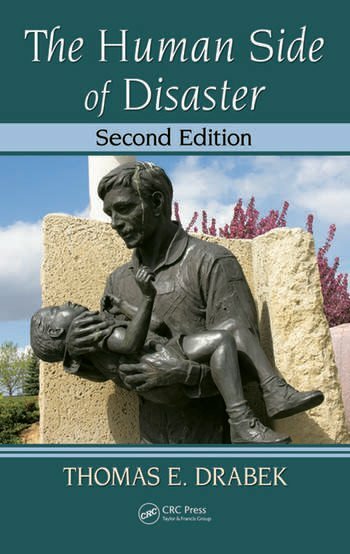 Enhanced with new cases and real-world examples, The Human Side of Disaster, Second Edition presents an updated summary of the social science knowledge base of human responses to disaster. Dr. Drabek draws upon his 40-plus years of conducting research on individual, group, and organizational responses to disaster to illustrate and integrate key insights from the social sciences to teach us how to anticipate human behaviors in crisis. The book begins with a series of original short stories rooted within actual disaster events. These stories are woven into the entire text to demonstrate essential findings from the research literature. Dr. Drabek provides an overview of the range of disasters and hazards confronting the public and an explanation of why these are increasing each year, both in number and scope of impact. The core of the book is a summary of key findings regarding disaster warning responses, evacuation behavior, initial post-impact survival behavior, traditional and emergent roles of volunteers, and both short-term and longer-term disaster impacts. The theme of "organized-disorganization" is used to illustrate multiorganizational response networks that form the key managerial task for local emergency managers. The final chapter provides a new vision for the emergency management profession—one that reflects a more strategic approach wherein disasters are viewed as non-routine social problems. This book will continue to be an invaluable reference for professionals and students in emergency management and public policy and aid organizations who need to understand human behavior and how best to communicate and work with the public in disaster situations. "Resisters? We Will Arrest Them!" Helpers: How Many Are There? "But We Deal with Emergencies Daily"
"When Can We Go Home?" Thomas E. Drabek is an emeritus professor of sociology and criminology at the University of Denver and continues his research on a part-time basis. His research has examined group and organizational responses to large-scale disasters. Professor Drabek has authored or coauthored over 100 book chapters and journal articles and 28 books. He served as the co-editor of the International Journal of Mass Emergencies and Disasters and was elected president of the International Sociological Association’s Research Committee on Disasters. 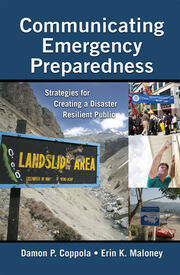 He prepared four instructor guides for the Emergency Management Institute. In August 2007, Dr. Drabek was the third recipient of the E. L. Quarantelli Award for contributions to social science disaster theory by the International Research Committee on Disasters, and in June 2008, he received the first Dr. B. Wayne Blanchard Award for Academic Excellence in Emergency Management Higher Education. He frequently lectures at academic and emergency management workshops and conventions throughout the United States and around the world.